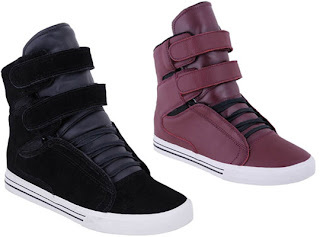 Supra has got two new colorways coming for there TK’s. Im not that keen on the straps myself but tuck them under your jeans and you’ve got a nice pair of shoe’s. I’ve always thought supra have made the coolest skate shoes but anyway ones black and the others bugandy and there coming this winter.